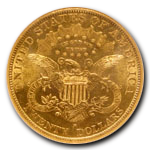 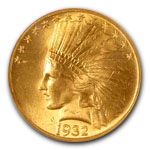 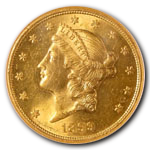 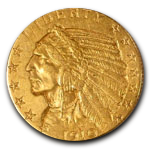 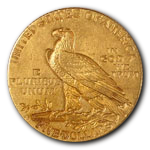 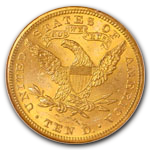 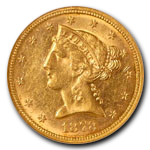 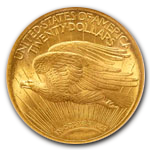 These gold coins were minted in limited quantities from 1907 to 1933. 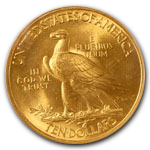 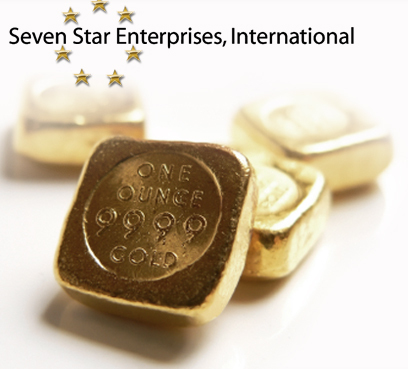 When Congress made it illegal for U.S. citizens to own gold, millions of the coins were recalled and melted into gold bars. 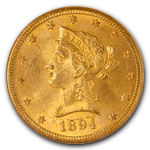 Today, only a fraction of the original coins survive, making them highly prized by collectors. 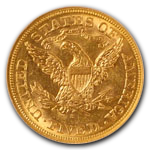 Commissioned by President Roosevelt in 1907. 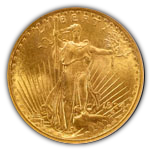 Minted 1907-1933.